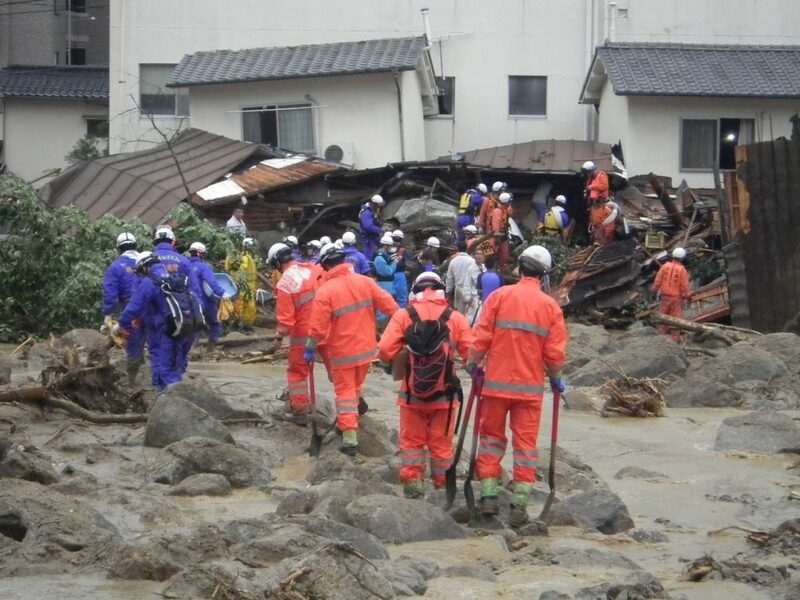 Floods and landslides in Japan have killed at least 80 people and left 28 people missing, according to the country’s Fire and Disaster Management Agency (FDMA). 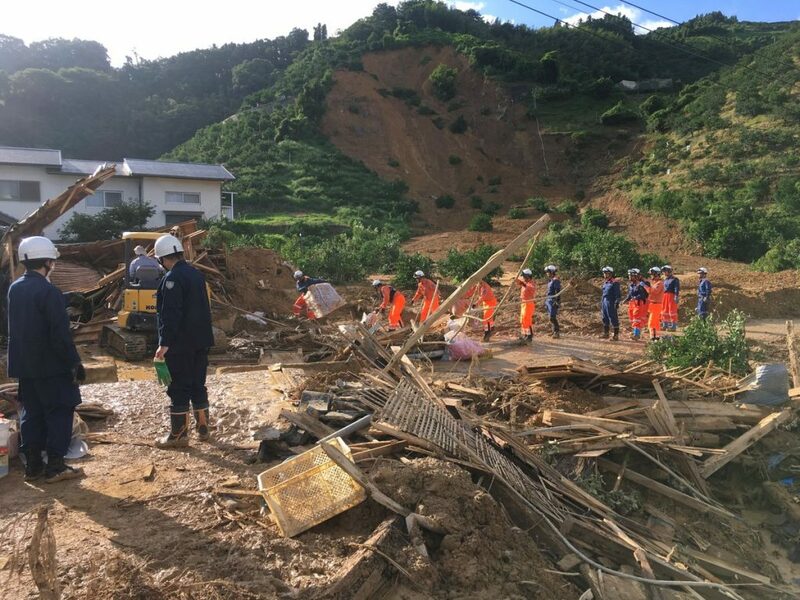 Torrential rain in the wake of Typhoon Prapiroon prompted authorities to issue an initial 160,000 evacuation notices on 06 July, 2018. Since then the torrential rainfall has triggered floods and landslides that have affected 2 million people, with 1.5 million people on evacuation notice. 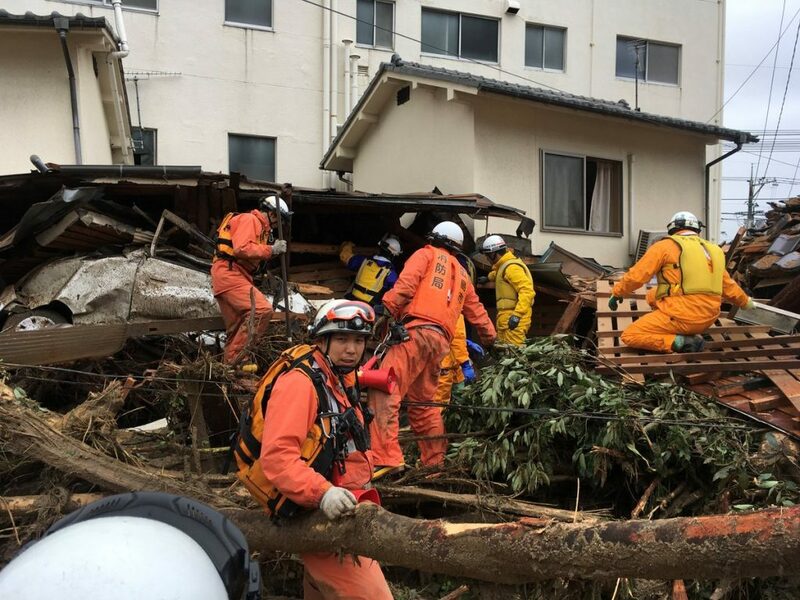 Fatalities have been reported in 11 prefectures. Rivers overflowed after unprecedented rainfall, causing widespread flooding. Military boats and helicopters were used to rescue people trapped in their homes and on rooftops. 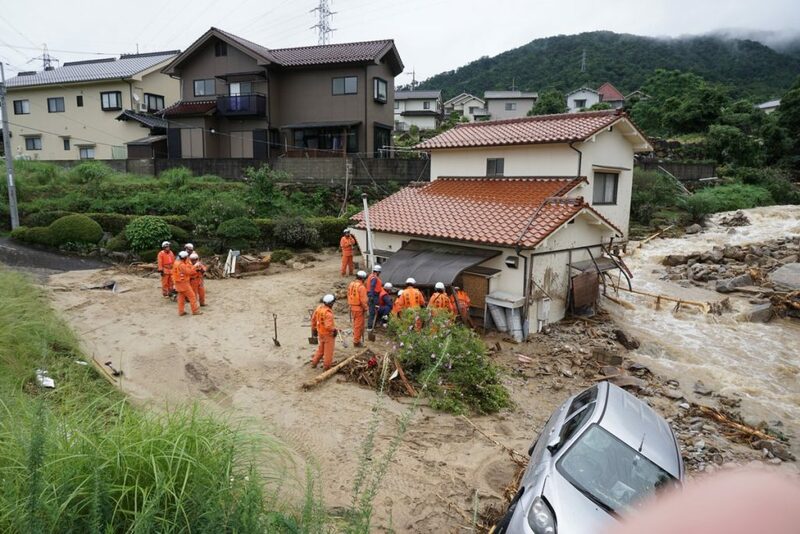 “The climate continues to be unstable, with the designated heavy rain emergency warnings issued for Gifu Prefecture, Ehime Prefecture, and Kochi Prefecture. I ask that the public continue to pay close attention to evacuation and weather information released by each municipality and meteorological station and take measures to ensure safety, including early evacuations,” the Prime Minister added. 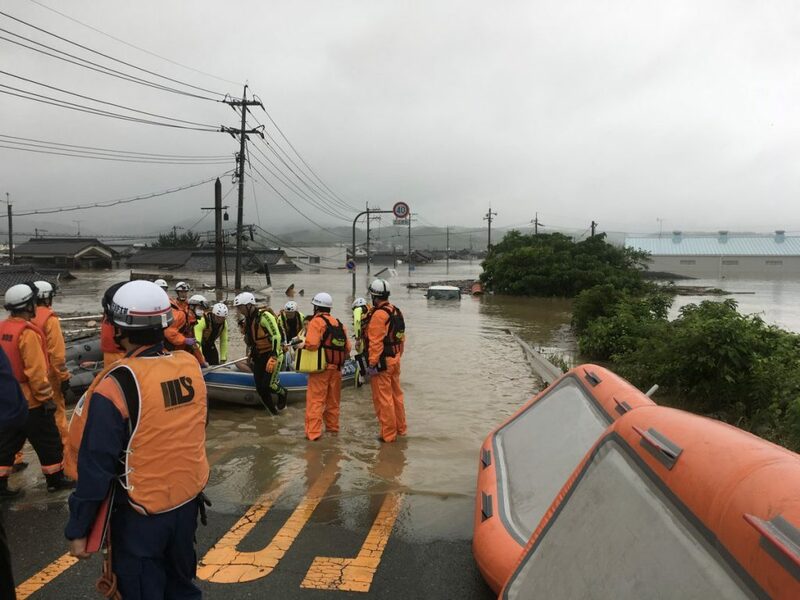 According to FDMA figures of 09 July, 40 deaths occurred in Hiroshima Prefecture, 21 in Ehime, 5 in Okayama and 3 each in Yamaguchi and Fukuoka. Other fatalities were in Gifu (1), Shiga (1), Kyoto (1), Hyōgo (2), Kochi (1) and Kagoshima (2). At least 28 people are still missing, including 16 in Hiroshima. Over 100 people have been injured, 24 of them seriously. At least 40 homes have been completely destroyed and further 8,000 homes damaged. Around 2,500 of that figure are in Fukuoka, over 1,000 in Ehime, and around 1,500 in Hiroshima. Meanwhile further severe weather is threatening the country as Tropical Cyclone Maria moves northwest over the Philippine Sea. Maria is expected to head toward the Okinawa islands in Japan, possibly reaching Miyako island on 10 July. Maria is also likely to affect parts of Taiwan and Fujian and Zhejiang provinces in eastern China over the coming days.